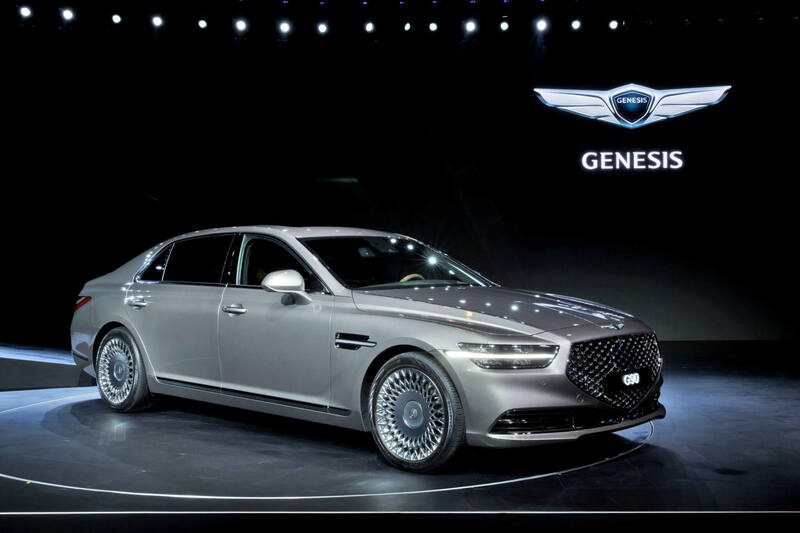 New 2020 Genesis G90: Korean For "Limo"
Discussion in 'Auto News' started by GTPNewsWire, Dec 2, 2018. This article was published by Kyle Patrick (@SlipZtrEm) on December 2nd, 2018 in the Automotive News category. I wouldn't mind being a passenger for many, many hours. AgentBlackDog and Sharpie like this. This car is just gorgeous. im_seb30 and AgentBlackDog like this. What a lovely car. I'd buy one of these if I had the money. It looks old and new at the same time. If there was an award for 'best new wheels' this would surely win it. Can we do that? Riding in Limo Gangnam Style. I definitely don't mind the wheels. ...I just mind the face.